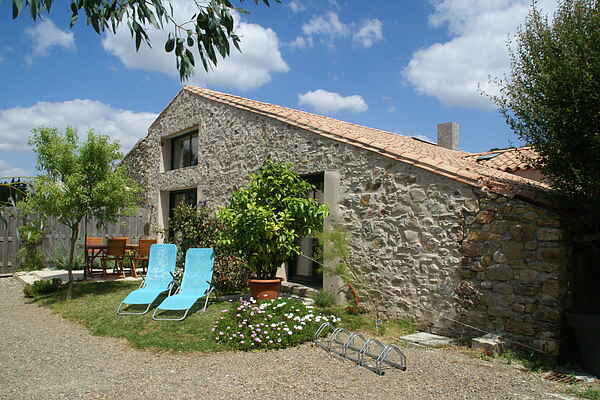 This holiday home in Château-d'Olonne is 500 metres from the sea and 9km from Sables d'Olonnes! Completely renovated in 2012, the interior is modern and nicely decorated. Enjoy your own enclosed garden with terrace. Perfectly suitable to start a new book or cook some grills on the gas barbecue. Finish the day with a nice game of boules. It is easy to do shopping in Château-d'Olonne (2km). For beautiful sandy beaches, for which the Vendée is known, go to the very famous seaside resort of Sables d'Olonne (9km). You will enjoy wonderful beach days there with the children! There is a lovely boulevard sprinkled with plenty of terraces and great restaurants. You will find fresh fish on all the menus, a true gastronomic delight! The 4 bikes (2 for ladies and 2 for men) at your disposal are also very useful for exploring the area. To vary the pleasures of the beach and swim, explore St Jean-d'Orbestier Abbey (100m). Sables d'Olonne Zoo is also fun for all ages. Life is beautiful in the Vendée!